As it was in the beginning, so it shall be in the end. In chapter 4, “Continuous Creation”, we looked at two plausible scientific/mythic explanations for the existence of our cosmos: the Big Bang and eternal inflation. Now, in “Death and Afterlife”, we seek yet again to peek behind the curtain. 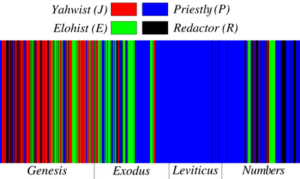 Process Theology joins Jewish tradition in offering two plausible paradigms. A Process perspective on death and afterlife affirms the same speculative metaphysics as all Process insight: we generally think of ourselves as substances, but we are actually organized patterns of energy. A Process perspective also allows us to formulate a plausible understanding of life in the coming world: we are not substances now in life, and we will not be substances after life ends. We are patterns of energy now, and it is reasonable to believe that we will continue as patterns of energy in God’s eternity. 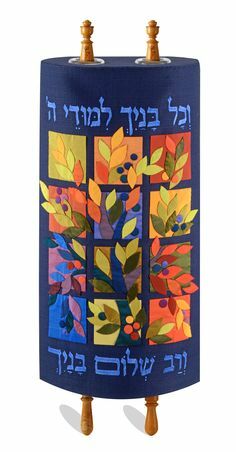 Judaism posits belief in eternal life; but, beyond affirming faith in some form of continuing existence, Jewish wisdom is remarkably open. 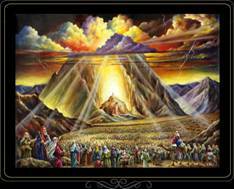 Judaism has used terms such as Garden of Eden, Paradise, Hell – as well as olam ha-ba ( the coming world), resurrection, reincarnation, end of days – but has never defined these terms with precision. From a Process perspective, once our lives are finished and done we will continue to exist – as we have lived – on multiple levels. One possibility is that death will mark the end of our individual consciousness. Our energy patterns will continue unabated, but there will be no governing central organization, no self-reflective awareness that continues beyond death. We may go to sleep as discreet individuals and awaken as the totality of the cosmos. In theological language, the word “Revelation” conveys the sense that God communicates – with humans and with the whole creation. But if we define God as outside and separate from our world, we are forced into an unhelpful dualism: God is out there, and we are here. This dualism raises the question: How does God communicate with us? Is divine revelation even possible? A Process perspective frees us from this dualism, allowing us to encounter the fullness of life, a fullness that includes the Presence of God around, within, and among us at all times. Revelation as timeless truth, or ongoing process? If we view revelation as the written historical record of timeless truths, its stories of individual people and actual events will recede into the background, and timeless principles (and rules) will become primary. 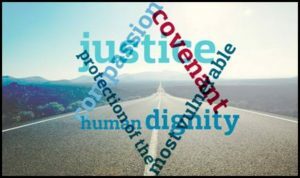 But if we view revelation as an ongoing process – if we reject the primacy of being over becoming (that is, reject the idea that abstract and timeless truths are superior to actual lives and real experience), Process thought can liberate us to live our lives with stronger relationships and greater justice. In theological language, “universal revelation” refers to the understanding and insight available to all through nature, intuition, and reason. If we understand that God permeates creation and works within it, then we no longer have to ask, “Does God communicate with us?” Instead, we understand that divine-creaturely communication happens all the time, and everywhere. Process Thought affirms that we live in a uni-verse – a single integrated reality. God is not timeless and separate from creation, but is working in and through all of creation, at every level. Therefore, God is not a radically different visitor or intruder from another order of being, but the soulful presence permeating all. The Divine Presence is a gift God offers to all seekers, to all creation. Everyone and every thing is linked in living fellowship to its One Creator and to the rest of creation itself. And so revelation is not restricted to a particular book or a particular tradition. There is no interaction lacking in God’s gift of insight, purpose, and direction; there is no occasion that does not invite our choosing the optimal response unique to us. (These insights permit us to bypass much of what religions argue about – and sometimes kill over). In theological language, “special revelation” refers to the understanding and insight available to us through sacred writings and tradition. What Moses can understand about God is all about relationship, interaction, and empathy; Moses knows he is in an enduring relationship with God. In Exodus Moses asks for the (nonverbal) gift of connection and relationship. But the experience swiftly transitions into a special revelation: God speaks directly to Moses (and ultimately through Moses to Israel). Note that in the Torah’s text, we find a mix of universal and special revelation: God’s Presence and relationship, and also the words God speaks to Moses. 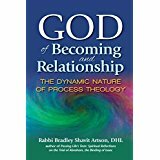 In Process Theology, God’s Presence and God’s Word are not distinct modes of God’s Revelation, but complementary facets of an embracing whole. In Scripture, Process Theologians see the Divine manifesting through the creation. This means, in Artson’s words, that “the text is 100% from God and 100% from human beings” – two different perspectives working in the same texts. If the Torah is always a mix of divine and human thought, we readers must rise to the challenge – and the responsibility – of interpreting each text in such a way that God’s love, justice, compassion, and connection always become more apparent, always shine more clearly through the text. This Process – our wrestling with the text, our struggle to interpret the meaning of a text – is part of the ongoing Process of revelation. To prepare for Thursday’s discussion, read (and re-read) Exodus 34:6-7. How do you interpret this passage – both verses? 3. Faithfulness to the Torah calls us to enter into relationship with its stories, not believe them literally. This brings us to the process of interpretation: nowhere in the Bible does the text insist that we must believe the stories literally. Our obligation is to re-tell the stories, to affirm their significance, and to weave them into our lives and our generations. 4. The Torah is meant to be the first word, not the last. 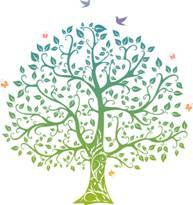 In good Process fashion, the Rabbis of old speak of the Torah as an etz hayyim, a living tree or tree of life. Just as a tree sinks its roots deep into the soil to provide stability and water to its leaves, just as it continues to add to its trunk and expand its foliage, so too does Torah grow and blossom in each age. 5. 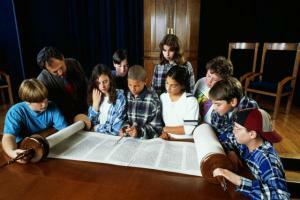 Ethics takes precedence in the Torah. 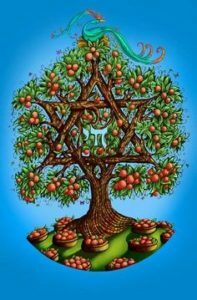 Understanding revelation through the perspective of Process Thought restores an ancient priority, often diminished in modern times – the priority of the ethical over ritual in Jewish tradition. For instance, on Yom Kippur, the most ritually punctilious day of the year, the Rabbis selected Isaiah 58:1-12, in which the prophet berates his contemporaries for oppressing the weak and the poor while thinking that their precise performance of sacrifices somehow makes them right with God. 6. A Process understanding of revelation accounts for the robust diversity in Jewish life and practice, across time and in different geographic locations. God meets individuals in the specificity of their own uniqueness at each particular moment; for each person, for every created event, there is a distinctive and unique lure, bearing new fruits on the Tree of Life. … Our task as seeking, questing people, every day of our lives, is to live in the presence of God and to mediate that presence to the larger world…. Halakhah – how we walk with God in this world – is a process through which we can wrestle each other to achieve some measure of consensus. In good dipolar fashion halakhah is also how we can celebrate diversity while setting the limits necessary for our brit, our covenant, to thrive into the future. Wherever human beings are found, we find someone praying. Through words, meditation, movement, offerings, renunciations, charity, good deeds, protest, dance, incense, and a host of other practices, people from remote antiquity to the present day have cried out to the Oneness, the Cosmos, the Divine, the Mystery – always seeking connection to something all-embracing. Even in these days of skepticism and unbelief, we still cry out, we plead, we negotiate. Of course, after the moment has passed, the cry released, the thanks expressed, we are left to wonder: What was I doing? Our ideas about prayer can complicate our acts of prayer. We pray better than we theologize. Most praying people hope that their prayers make a difference. They want to believe that God desires prayers, and that praying contributes to a different (and better) outcome. If God is unchanging, that means God is unaffected by our prayers. So why pray? If God is all-knowing, then God knows what we’re going to say before we say it, knows the situation we feel impelled to pray about, and knows the future before it becomes real in the present. So why pray? If God is in complete control, then whatever will be will be, and God already knows whatever will be, whether or not we pray. So why pray? But, even with their old theology, when real people pray they feel that God actually cares about them. Their hearts already intuit what their old theology obscures. Perhaps the problem, then, is not with our practice, but with our theology. Prayer is recentering ourselves, with God at our core. Relationships: God is the One who makes all relationships possible. The future: God is the One who generates all the options the future offers. Our choices: God is the One who empowers each and every one of us (just as we are, wherever we are), to make the best choice for the future. Our reality: At every instant God knows us (and every event in creation) not theoretically, but as we actually are – each of us, all of us. God’s invitations – God’s lures – will always be tailored to our reality – to our current context and our distinctive individuality. Through God’s lures, God empowers us – and all creation – to reach for the optimal next step available. That means that in every moment God gives us the opportunity to make the best choice; it also means that we are always free to embrace God’s offer or reject it. Because God works with the world as it is, when we transform ourselves we are also transforming the world by precisely that amount, giving God another opening to work with us, through us, and for us. So what are we doing when we pray? At the simplest level, we are re-centering ourselves with God at our core. 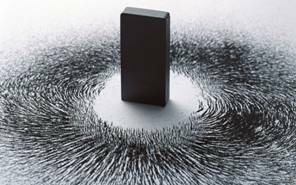 A magnet attracts the iron filings in the earth, and those filings align themselves with the magnet as it passes by them; with God as our magnet, prayer allows us to orient ourselves around the core of Love, Justice, and Compassion. Often the book is very old. Wouldn’t we make a better connection with God better if we prayed spontaneously and from the heart? But our choice isn’t limited to spontaneous outpouring or scripted liturgy. In fact, we are best prepared for spontaneous prayer if we also engage in regularly scheduled prayer. Liturgical prayer in community is like reading a script shared by a group of actors. But the script now in our hands has been passed on to us by the generations who prayed before us. The best of actors throw themselves completely into their roles, putting hearts and souls into the script, and into their own words and actions. And just so, when we come together in liturgical prayer we actually become the questing souls portrayed in the prayer book. We are turning ourselves into vessels – to be filled with the values, aspirations, and memories provided by the prayer book. Process Theology teaches us that we live in interdependent relationship with each other, and with the world around us. We may look (and sometimes feel) as if we are solitary and independent, but we are actually relating patterns of energy, and we are always inter-weaving our lives with others. Our interactions with others become woven into the very fabric of our becoming – making us dynamic composites of everyone we’ve known, every place we’ve been, in expanding circles of family, community, species, and planet. We feel the need to do something, to speak hope and determination in the face of our own and others’ suffering. We want to strengthen our connections with others and with God. And Process Theology tells us that God is working in, with and through us. As we lift up others in our prayers, as we focus our attention and energy on them, we are offering God (and the world around us) our own new level of focus, to be used as a tool for renewed connection and integration. The Hebrew word davar means both ‘deed’ and ‘word’, and the davar of prayer is a worded action and a doing speech. This kind of prayer offers God the gifts of our intentions, our energies, and our hopes – to be used in creating deeper belonging, greater engagement, and richer connection. that we can strengthen the links connecting us to loved ones and to those far away. Prayer makes it possible for us to meet people in God, and mobilize untapped resources on their behalf – connecting them to our resources, to their own resources, and to the resources of the God of Becoming and Relationship.